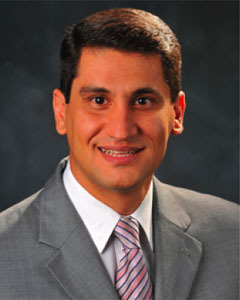 Dr. Karami is a graduate of CU School of Dental Medicine. Due to his dedication to patients and peers, upon graduation he received three different awards. Dr. Karami considers himself a true international Dentist and has been licensed and has practiced dentistry in three different countries. He has been practicing in the Denver area for the past seven years and is a part-time faculty at CU School of dentistry. Dr. Ardavan is very passionate about dentistry and loves to create beautiful smiles for his patients. He consider his goal to provide exemplary dental care to the population of Denver by applying the “Golden Rule” to dentistry, by treating patients the way he wants his family to be treated, with compassion and integrity. In his free time, Dr. Karami loves traveling especially to the beautiful mountains of Colorado and spending time with his family. 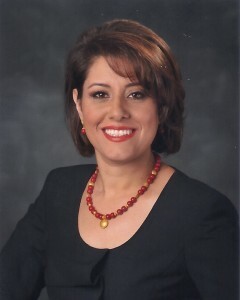 Dr. Neda is a graduate of University of Colorado and has practiced in 3 different countries with her husband Dr. Ardavan. Dr. Neda is very compassionate and she is a favorite among children and adults alike in our practice. She believes that fun and educational early dental experiences can help children establish healthy habits for a life time of healthy smiles. Dr. Neda strives to establish lasting relationships with her patients and their families through communication and mutual trust. 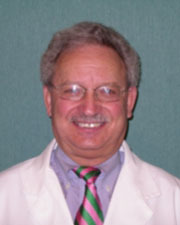 Dr. Worley (Rick) grew up in Wichita, Kansas in and around aircraft. His father was a World War II fighter pilot, then Chief Test Pilot at Cessna Aircraft in Wichita and Dr. Worley worked at Cessna through his college and dental training. His mother was the dental assistant for a prominent Wichita dentist and was an early influence upon his career choice. His sister Barbara lives and works in Mill Valley, California just across the Golden Gate Bridge from San Francisco. He graduated from the University of Missouri at Kansas City School of Dentistry in 1971 then came to Denver, completing a General Dental Residency at St. Anthony’s Hospital in 1972. He has been in practice for over 30 years and has dedicated his professional career to providing you with the best that dentistry has to offer. He and his staff maintain a rigorous schedule of continuing education on the newest dental techniques and advances in order to provide you with state of the art, comfortable, personalized and antiseptic dental care. 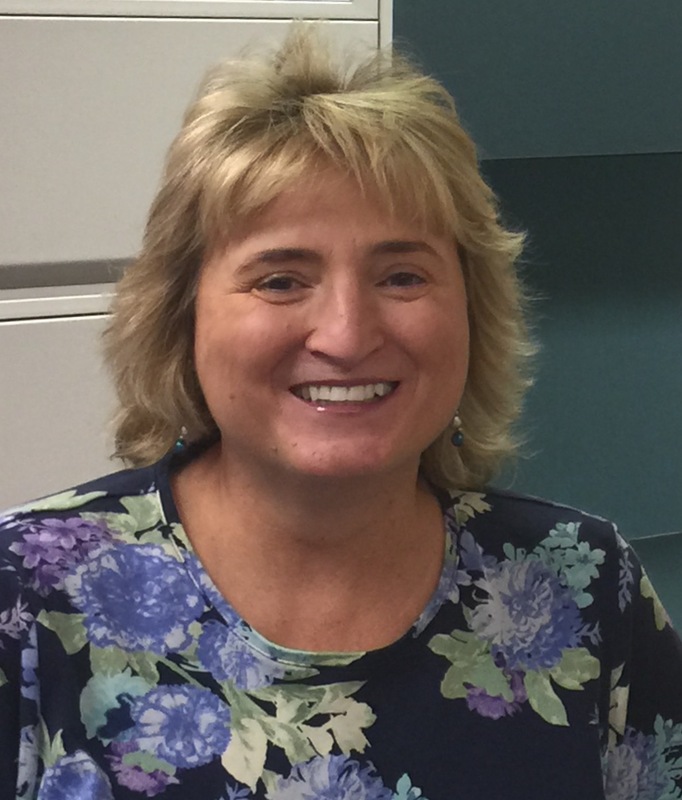 Terri is a graduate of the Colorado Northwestern college Dental Hygiene Program. 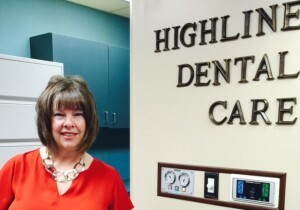 She is trained in the administration of local anesthesia and Nitrous Oxide Analgesia and has been working as a dental hygienist for the past 21 years and with Dr.Karami for the past 5 years. Terri’s commitment to continuing education brings modern dental hygiene therapies to our practice. These therapies include assessment of caries risk and management, periodontal health and maintenance with considering periodontal disease as an infection that has been proven to have relation with other diseases in the body including heart disease, coronary artery disease. She places strong emphasis on prevention when speaking with patients about their oral health and educates her patients with efficient home care techniques for prevention of gum and teeth diseases. 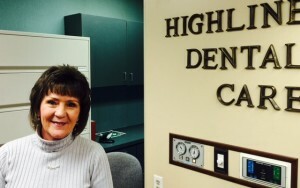 Cindy is our General Office Manager and has been with Highline Dental Care for 33 years. She and her husband Bill love going to the Botanic Gardens, the zoo, art museums and hikes up in the mountains. They both share a great love for their daughter, Hilary. Cindy also assists with patient care including appointments and financial arrangements and brings to you dedication to great dental care. Kim has many years of experience in the dental business field and will expertly help you manage appointment and financial arrangements and help you understand and coordinate your dental insurance benefits. Cynthia has been a dental assistant for over three years. She is bilingual, speaking both english and spanish. She is proficient in chairside assisting and whitening, dental impressions, lab work, and radiographs. She is also certified for coronal polishing and taking x-rays. 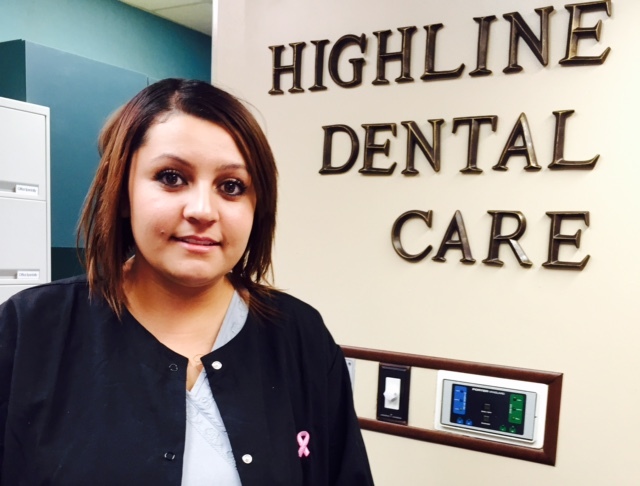 Cynthia really enjoys her job and learning new ways to make dental appointments more comfortable.